The 45th version of Tucson Meet Yourself will stretch along North Stone and Church avenues between Alameda and Congress streets, and on Jácome Plaza and along Pennington Street. Helpers and staff of Tucson's Cafe Santa Rosa keep super busy making Indian Fry Bread. Solana Kesl, right, 13, and her aunt Cecilia Mendoza, browse the books at the Bookmans tent. The 2017 All Souls Procession on Tucson's west side on Nov. 5, 2017. Tucson's Rob Alvarez, 16, leads his Monster Media Racing team across the the finish line to win the 35th El Tour de Tucson bicycle race on Nov. 18, 2017. Barrel Racer Christine Laughlin speeds between barrels for a win in the event on the final day of the Tucson Rodeo. Volunteers make these 5 Tucson festivals happen. Here's how you can help too. The fall festivals are nearly upon us. We can't wait for dozens of international food options clustered downtown during Tucson Meet Yourself and the simultaneous merriment and mourning of the All Souls Procession. 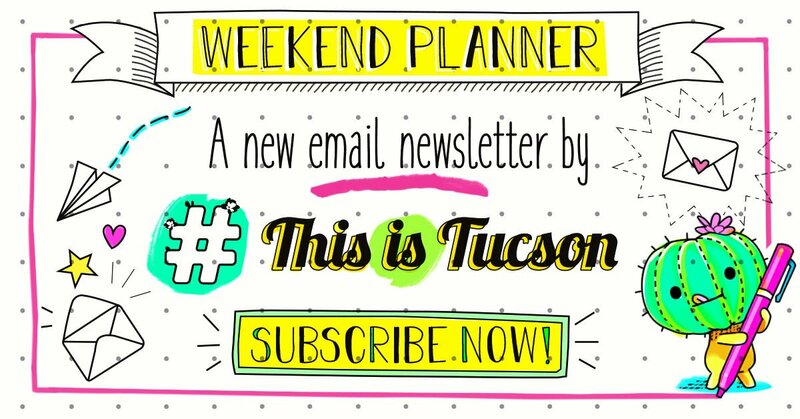 These events (and others) make Tucson home. But as miraculous as they appear, they don't happen by magic. Many of the beloved Tucson traditions that we anticipate every year run because of the work of many volunteers. Here are five events coming up in the next six to seven months. Affectionately known as Tucson "Eat" Yourself, this enormous festival needs 600-700 volunteers to run, says Jessica Escobedo, a volunteer manager for Tucson Meet Yourself. Volunteers work four-hour shifts (you can work multiple shifts, if you want) and do everything from selling beverages to manning trash and recycling stations to ensure the festival is as green as possible. Volunteers should be at least 13 years old — those between the ages of 13-17 require a waiver. How to sign up: Go here. This community remembrance of loved ones lost doesn't happen without volunteers. Hundreds are needed on the day of the procession and in the weeks preceding it. Volunteers help with craft workshops, day-of logistics and even the creation of art installations for the route, says volunteer coordinator Melanie Cooley. If you're interested, check out the kick-off potluck on Saturday, Sept. 8, 5 p.m. at Rhythm Industry Performance Factory, 1013 S. Tyndall Ave.
How to sign up: Even if you go to the potluck, sign up to volunteer here. You'll then receive emails about opportunities best suited to your interests. Sign up by the second week of October. Thousands of bicyclists participate in this ride around Tucson — to the benefit of around 50 nonprofit organizations. As many as 2,000 volunteers are needed year-round to make this happen. Volunteers can do everything from handing out packets at the expo the Thursday and Friday prior to the event to marking cyclists on ride day, says volunteer director Sallye Williams. Volunteers are also needed for the Sept. 15 ride Loop the Loop. Try to commit to a three or four hour shift. Volunteers for the Tucson Rodeo should have rodeo pride, says José Calderon, the chairman for the rodeo. The volunteer-run rodeo needs about 600 volunteers year-round to operate, with positions spanning concessions, merchandising, security and beyond. Note that volunteering for the rodeo is not the same as volunteering for the parade. This ode to all things bookish on the University of Arizona campus has around 2,000 volunteer shifts that need filling. Volunteer registration opens in January. How to sign up: Join the volunteer list here. You'll be notified when registration opens in January. The backpacks will double as an art installation and donation. Sister Jose Women's Center program offers responsibility and respect to help homeless women move forward.